Host and Publish All Paper Free of Cost. We Host Free of Conference and Publish all paper free in Our Journal. 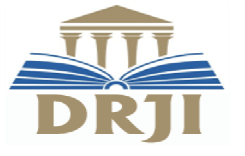 only One time Process fees Apply INR 4000.
International Journal of Creative Research Thoughts (IJPUB) is ardent to promote erudite, pragmatic, and contemporaneous research work in the fields of Engineering in various branches. IJPUB will provide an opportunity for practitioners and educators of engineering field to exchange research evidence, models of best practice and innovative ideas. Depending on their importance, originality, quality, relevance and other editorial considerations, eligible research articles will be invited for publication in the IJPUB. IJPUB welcomes National and International conferences to publish their proceedings with IJPUB(www.IJPUB.org) online and print versions. It is the platform for Institute, University, College etc to share the knowledge. We would like to formally invite you and peers to send your camera-ready manuscripts to our journal IJPUB for publication. With your further interest in our proposal, we will give the details Procedure for publication.